Clinical Assistant In Oral And Maxillofacial Surgery University Of Southern California, (Usc), Usa. 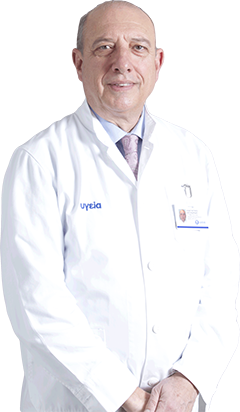 Professor And Chairman Of Oral And Maxillofacial Surgery, University Of Athens, Hellas, ”Evangelismos” Hospital. Vice President Of The Hellenic Association For Osseointegration 2004-2011. Vice President Of The Hellenic Association For Oral And Maxillofacial Sur-gery, 2005. President Of The Hellenic Association For Oral And Maxillofacial Surgery, 2008-2011. Vice President Of The Hellenic Association For Oral And Maxillofacial Sur-gery, 2012. Chairman Oral And Maxillofacial Surgery Clinic “Evagelismos” Hospital. More Than Two Hundred Fifty Publications In Hellenic And International Journals. Parapharyngeal Space Tumors: Surgical Approaches In A Series Of 13 Cas-es. Papadogeorgakis N, Petsinis V, Goutzanis L, Kostakis G, Alexandridis C. Int J Oral Maxillofac Surg.2010 Mar;39(3):243-50. Epub 2009 Dec 14.PMID:20005672. Vascular Fractal Dimension And Total Vascular Area In The Study Of Oral Cancer.Goutzanis LP, Papadogeorgakis N, Pavlopoulos PM, Petsinis V, Plochoras I, Eleftheriadis E, Pantelidaki A, Patsouris E, Alexandridis C.Head Neck. 2009 Mar;31(3):298-307.PMID: 19073004 [Pubmed – Indexed For MEDLINE] Intramuscular Myxoma Of The Masseter Muscle.A Case Report.